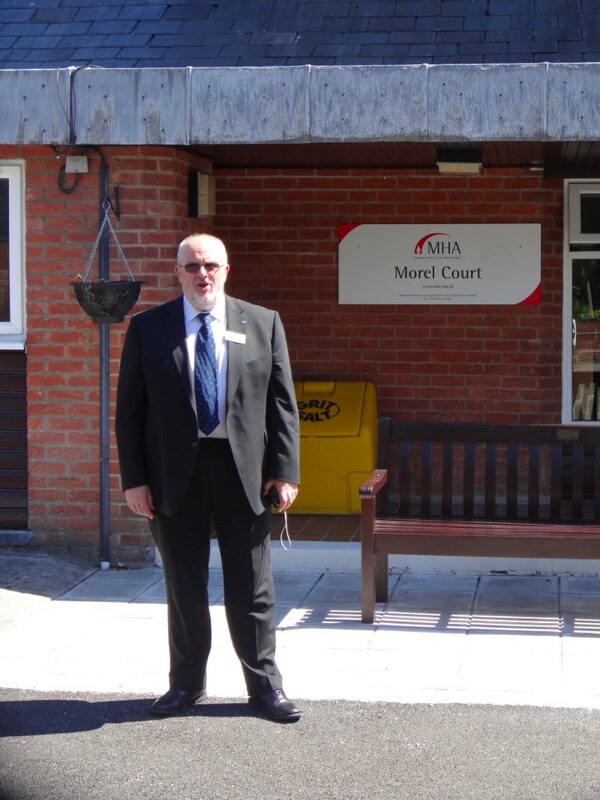 The main thrust of the day was to visit the Ty Gwyn and Morel Court MHA homes in Penarth, but instead of taking the train from Barry Station, I walked the two miles to Cadoxton to make the next day slightly shorter. 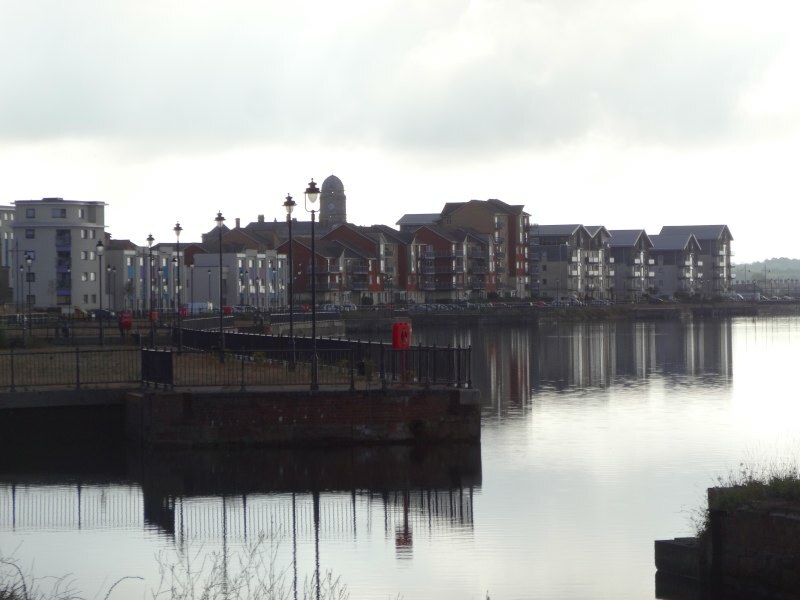 The walk from Barry to Cadoxton starts along the side of the Barry west dock, which is now no longer a commercial dock, not an ‘Oil Storage Teminal’, as is still shown on the OS map, but now the site of dock side residential development. 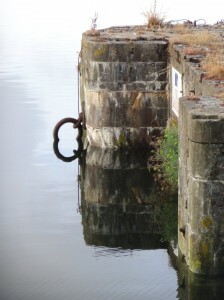 I would not be surprised if it becomes a fully-fledged marina in due course. From building signs there will be more development in the area between it and Barry Island, in the area that I recall as the railway engine graveyard. Further east are commercial and industrial buildings clustered around and beyond the east dock, and my photos for the walk seem to be a mix of the abandoned quayside ironmongery, industrial views and the clock tower of, what I take to be, the massive Victorian dock offices. 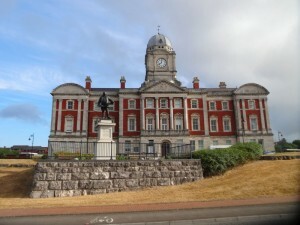 Barry, like so many South Wales ports, developed in the 19th century to serve the coal and iron industries, but was created a s a sort of queue-buster. 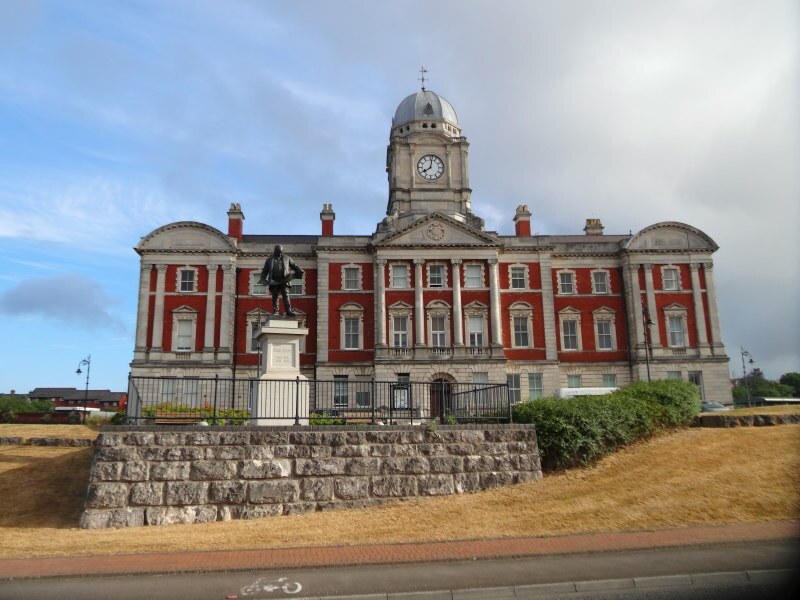 One of the valley’s steel magnates got tired of having to wait for his ships to get into Cardiff Docks, so simply built his own at Barry. However, I can’t help but feeling that a warning using a word that no-one but an expert in marine engineering will recognise is somewhat less than user friendy? 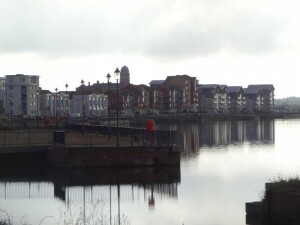 After the waterfront walk, the path then goes along the new Millennium Way, a mile-long avenue, the high spots of which include the rusting railway signals, the Victorian villas on the high road overlooking the railway, and occasional glimpses, through the trees, of chimneys in the industrial area. Although going through such areas is part of the nature of the walk, I am glad that I did it on my own and reduced the road walking for those joining me tomorrow. 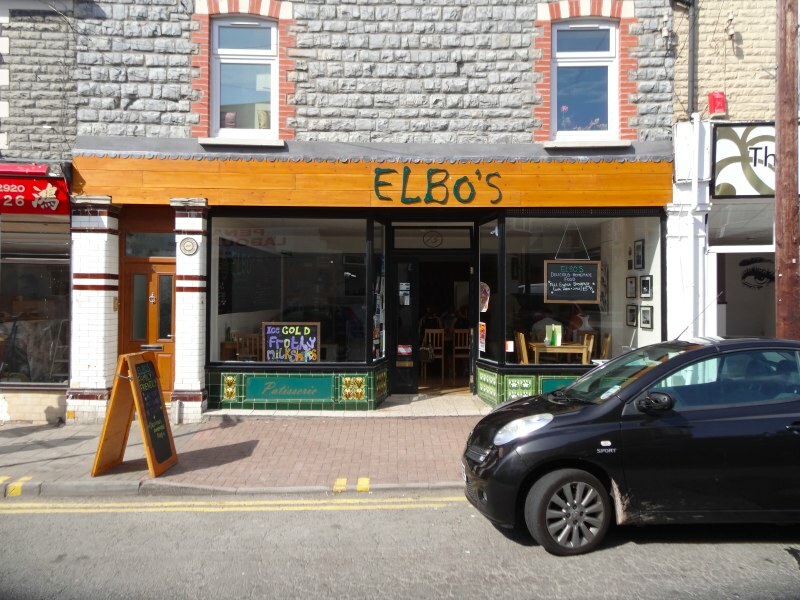 I took the train from Cadoxton to Cogan Station on the edge of Penarth where I met Keith Albans, who is going to take me to the MHA homes, but not before a lovely breakfast at Elbo’s in the centre of Penarth. We came to it by accident as it was just opposite where we found a parking space, but is a lovely place that seems to bridge the gap between ‘caf’, ‘cafe’ and coffee house. The clientele included workmen, little old ladies and more hip (if that is not an old fashioned term) young people. The first home we visited, Ty Gwyn, is a residential home for those with medical needs, some with strokes, others simple frailty. It is on a wonderfully converted Victorian building and had been a private nursing home for many years until MHA bought it 10 years ago. 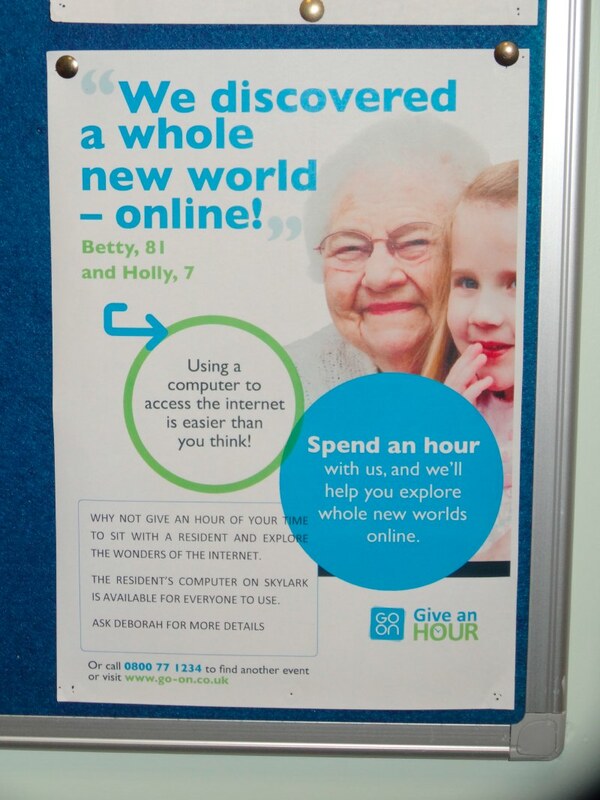 As well as talking with various residents, the manager told us about the way some of the residents were using computers to communicate with relatives via Skype. One lady who was terminally ill was taken to the computer where she was able to talk to her son overseas just days before she died. Now they also have an iPad allowing more infirm residents to communicate from their beds. 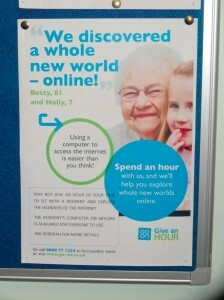 While few, if any, of the residents would use a computer freely, they can make use of specific facilities if a carer sets up the Skype call. In some ways this is a bit like transport, you don’t have to be able to drive a bus to be able to have a day out. Similarly, there is no reason why effective use of IT need not be mediated by another person. As we chatted to one of the carers, she showed us the small handheld Psion device that is used to keep track of medication. She told us how it helped reduce the risk of medication errors and also prompted when a patient’s medication was running low. I recall first seeing the use of this kind of thing many years ago in a state of the art EU project in da Trofa Hospital in Portugal, so interesting to see this now part of normal practice. 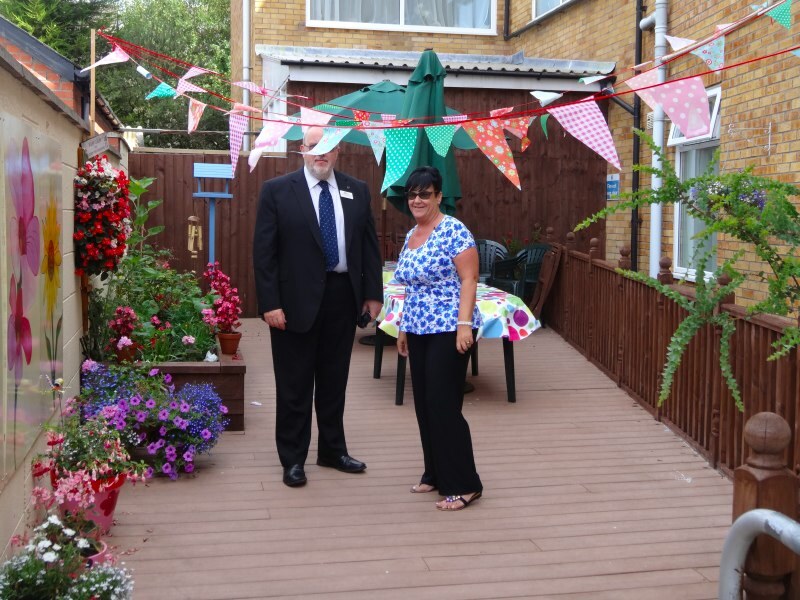 The home has no proper garden, but they have turned a tiny yard into a beautiful ‘secret garden’, which residents have decorated with painted stones and planted with flowers and vegetables. 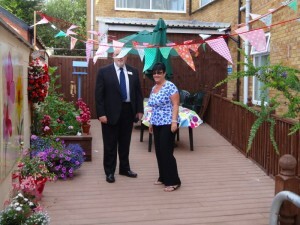 It was hung with bunting and had tables with parasols for garden parties. Chatting with residents and looking at the pictures made me aware again of the need to allow those well beyond even increasing retirement ages to be active in productive ways. Many people are failing in physical health, but have still a wealth of experience, knowledge and skills to offer. Morel Court is a newer home. It is a residential home, but for those without any serious medical or mental needs, beyond the normal mobility problems of age. I met one resident who had fund raised for MHA for many years, visiting one of their homes in North Wales, but with each donation she sent, she added a note saying, “why not have a home in South Wales?” MHA obviously listened and Morel Court was the first of several MHA homes in South Wales, and the lady who collected was here for its opening and then later came here herself, now being the longest-staying resident. The home also had a lovely garden, with a large residents’ vegetable bed and even chickens for eggs, although they needed to be put away each evening for fear of urban foxes. I was still in deep conversation with lady telling me about her childhood in Shrewsbury, when it was time to go. 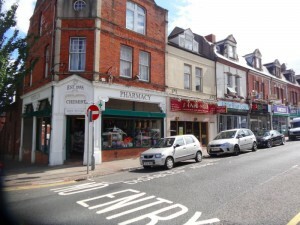 Back in Barry I wandered up to the High Street that is a lovely combination of small independent and yet contemporary shops, not frozen in time, like Kington, but not succumbing to the mall-ification of most town centres. Maybe the closeness of Cardiff has saved the town centre from the invasion of the chains, allowing it to prosper more like the small shopping streets that are still found in areas of Cardiff, like Albany Road and Wellfield Road near where I was brought up; the sort of places you go for daily shopping needs, with occasional forays to the big city centre shops.